He handled bin Laden’s money and may have ties to a fresh plot to attack America. Now, experts say, Mustafa abu al-Yazid is helping teach the Taliban new terror tactics. Howard Altman reports. By tapping al-Yazid, “Al Qaeda put someone in charge who they feel has the ability to prevent al Qaeda from moving further away from the Taliban and, better yet, enhance its current state of influence,” says Kamran Bokhari, director of South Asia Analysis for STRATFOR. But maybe the most important reason Americans should care about Mustafa abu al-Yazid, also known as Sheik Saeed, is that he is now the head of al Qaeda in Afghanistan. And in that role, he has built new and potentially deadly ties to the Taliban—forging alliances that may greatly complicate the Obama administration’s decisions about what to do in Afghanistan and Pakistan. Al-Yazid, says Stenersen, has a “diplomatic” personality and enjoys “previous good relationships with various local militants. “His appointment indicates that al Qaeda sees it as important to strengthen its ties with the local militant groups and that it wants to play a supportive role for the Taliban, rather than trying to contest for power with them,” says Stenersen. • Peter Beinart: Hope Amid the Rubble in Pakistan• Howard Altman: Al Qaeda’s Man in Afghanistan• Leslie H. Gelb: Obama Stalled Out All Over the World• Lee Siegel: Generals Can’t Be TrustedKamran Bokhari, director of South Asia Analysis for STRATFOR, the global intelligence company, agrees that there is great symbolism in the choice of al-Yazid—a slightly built fellow in glasses and a turban, a money man rather than a soldier—to head al Qaeda’s Afghanistan operations. Whether he will be successful remains to be seen, says Bokhari. Al-Yazid’s appointment was taken as a serious development in the intelligence community from the start. When it was announced on al Qaeda Web outlets, Michael Scheuer, who ran the renowned Alex Station—the CIA’s get-bin Laden unit—wrote it was a sign that al Qaeda was expressing fealty to the Taliban. Late last year and early this year, al-Yazid met with Mansoor Dadullah, a Taliban leader in southern Afghanistan, says Khawar Rizvi, a Pakistani journalist and part of AFPAX.com, a Web site being developed to provide original reporting from Afghanistan and Pakistan. Those meetings, says Rizvi, represented a milestone in al Qaeda-Taliban relations. “These were the first high-profile meetings between the two groups in several years,” says Rizvi, whose reporting on the subject has gotten him imprisoned in Pakistan. Like Stenersen, Rizvi says al-Yazid’s presence in Afghanistan shows that al Qaeda is acknowledging that it is there to support, not dictate, Taliban activities. “His major contribution to global terrorism is that he is a major source of communications between the two groups,” says Rizvi, who recently returned to Washington D.C. from a trip to Afghanistan. Evan Kohlmann, a terror investigator for the NEFA Foundation who also serves as a paid consultant and expert witness on behalf of the FBI and Scotland Yard in cyberterrorism cases, helped translate al Qaeda communications pertaining to al-Yazid. He also helped develop a dossier on al-Yazid that documents his history back to his days with the Egyptian Islamic Jihad. Both Kohlmann and Elad Schaffer, vice president of the Jerusalem-based CeifiT security and intelligence firm, who has been following al-Yazid for years, agree that al-Yazid is an al Qaeda leader to be reckoned with. But other analysts say this portrait overplays Al-Yazid’s importance. Arturo Munoz, a former CIA operative in Southwest Asia who is now the Rand Corp.’s go-to guy for the Af-Pak region, is a decidedly cautious analyst who prefers talking in terms of maybe and probably. He doesn’t like to put a number on where al-Yazid falls on al Qaeda’s depth chart. He’s not convinced al Qaeda even has such a depth chart. Charles Faddis, a former CIA ops officer who until May 2008 was the head of the CIA’s weapons of mass destruction terrorism unit, doesn’t buy into theories that al-Yazid’s appointment represents a tactical change by al Qaeda and suggests al-Yazid may merely be one of the few al Qaeda leaders left standing. The International Security Assistance Force, the NATO unit overseeing the military operations of the U.S. and its allies, declined to talk about the al Qaeda-Taliban relationship, referring questions to “think tanks.” An ISAF spokeswoman did not respond to specific questions about al-Yazid. Al-Yazid’s skill set—and his effectiveness in cultivating relations with the Taliban—could play a significant role in determining the course of U.S. strategy in the region. As debate continues over his importance, there is widespread agreement among the dozen experts interviewed by The Daily Beast that the Taliban has grown increasingly sophisticated in its use of IEDs and suicide bombings—tactical shifts which have given the Taliban new momentum in its war against the Afghan army, the U.S. and its allies. The number of effective IED attacks in Afghanistan, for instance, has grown from 19 in September 2007 to 106 in September 2009, according to the Associated Press. But al Qaeda and the Taliban remain distinct entities—with their share of strategic differences. The Taliban is largely ethnically Pashtun, drawing on Hanafi, Sufi, and Deobandist religious influences, while al Qaeda’s ranks are more diverse; while still mainly Arab, the group counts Uzbeks, Bosnians, and even American and European converts among its members. (Members share a radical Salafist Sunni faith.) The Taliban’s main goal is establishing an Afghan caliphate, while al Qaeda seeks a global one. The Taliban announced recently that its fight was an internal one—suggesting, in a message aimed at the White House, that if America and its allies would leave Afghanistan, the Taliban would not be an enemy. It’s hard to imagine such a statement coming from al Qaeda and specifically al-Yazid—who has said he sees no difference between the U.S. government and its people as enemies of Islam. Such tensions lead STRATFOR’s Bokhari to believe that the Taliban may be ready to “throw al Qaeda under the bus.” Others, like Faddis, say a common enemy makes for lasting ties. Who is right: The answer could determine whether Obama sends an additional 40,000 troops to Afghanistan. 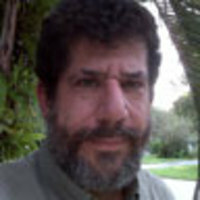 Howard Altman is an editor in the converged newsroom of TBO.com, WFLA-TV, and The Tampa Tribune. He has written about jihadi Web sites since shortly after 9/11, when he broke the story about the Saudi Bin Laden Group Web site’s pre-set expiration date of 9/11/01. Altman has won more than 50 journalism awards and had his work translated into several languages.